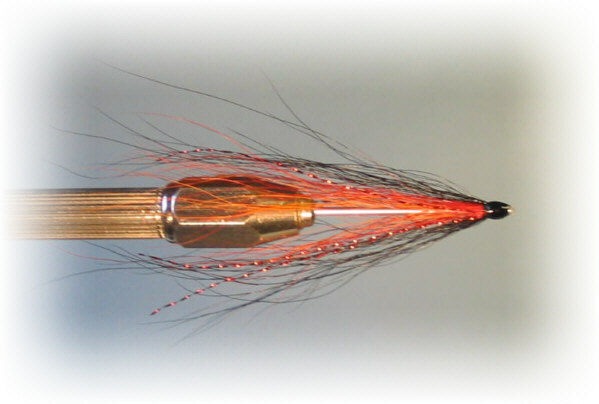 The Needle Tube, newly developed and manufactured in Scotland by Grays of Kilsyth, is the thinnest plastic lined metal tube available for fly tying, allowing the salmon and sea trout fly tyer to create extremely slim bodied flies such as this simple snake fly. The very fine stainless steel tube, with a diameter of only 1.5 mm, has been left undressed to give a slim shiny silver body. 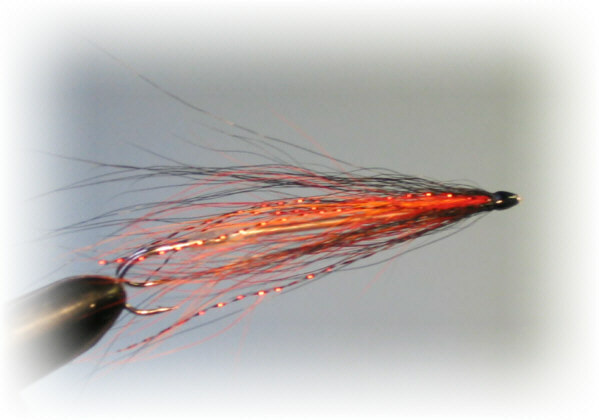 A fly dressed on a Needle Tube, while being much slimmer, lighter and more easily cast than the traditional copper and brass tubes, will fish deeper than a plastic or aluminium tube fly. 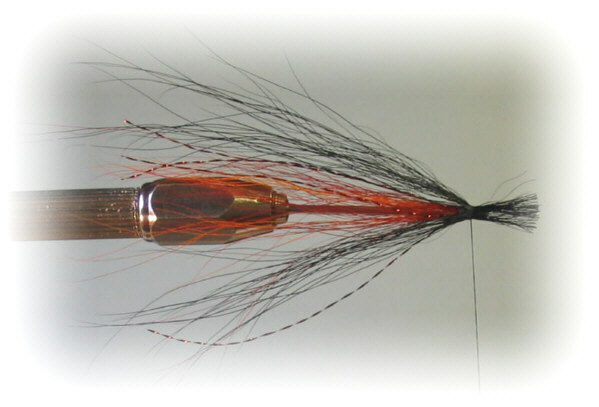 A Needle Tube fly is also more durable and more easily made than the more complicated braided nylon snake fly. 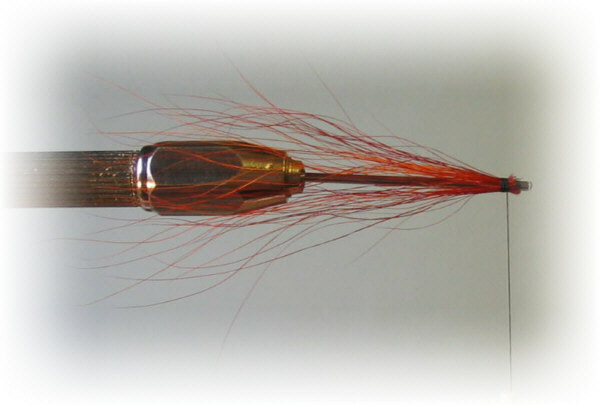 Grays Needle Tubes are now available online in a range of diameters and lengths. 1. 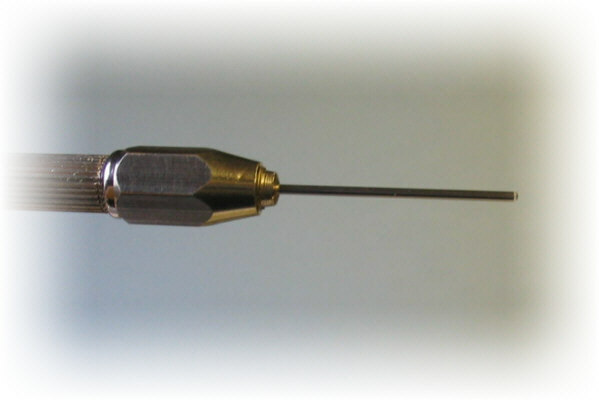 Insert needle tube in Tube Fly Vice. 2. 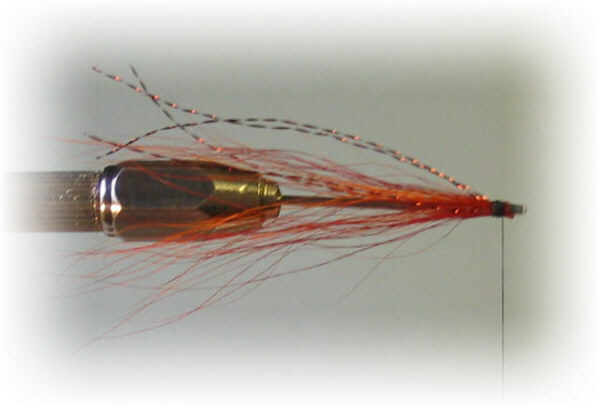 Lay a short bed of tying thread at the head an tie in a bunch of red and orange hair. 3. Add a few strands of Crystal Flash. 4. Tie in some black hair. 5. Form a neat head and varnish. 6. Add a short length of clear silicone tubing, 1mm bore, and a hook of choice.